Salvatore Carollo, "Understanding Oil Prices: A Guide to What Drives the Price of Oil in Today's Markets"
It’s a fair bet that most of what you think you know about oil prices is wrong. Despite the massive price fluctuations of the past decade, the received wisdom on the subject has remained fundamentally unchanged since the 1970s. When asked, most people – including politicians, financial analysts and pundits – will respond with a tired litany of reasons ranging from increased Chinese and Indian competition for diminishing resources and tensions in the Middle East, to manipulation by OPEC and exorbitant petrol taxes in the EU. Yet the facts belie these explanations. For instance, what really happened in late 2008 when, in just a few weeks, oil prices plummeted from $144 dollars to $37 dollars a barrel? Did Chinese and Indian demand suddenly dry up? Did Middle East conflicts magically resolve themselves? Did OPEC flood the market with crude? In each case the answer is a definitive no – quite the opposite in fact. Industry expert Salvatore Carollo explains that the truth behind today’s increasingly volatile oil market is that over the past two decades oil prices have come untethered from all classical notions of supply and demand and have transcended any country’s, consortium’s, cartel’s, or corporate entity’s powers to control them. At play is a subtler, more complex game than most analysts realise (or are unwilling to admit to), a very dangerous game involving runaway financial speculation, self-defeating government policymaking and a concerted disinvestment in refinery capacity among the oil majors. In Understanding Oil Prices Carollo identifies the key players in this dangerous game, exploring their competing interests and motivations, their moves and countermoves. Beginning with the1976 oil embargo and moving through the 1986 Chernobyl incident, the implementation of the US Clean Air Act Amendments of 1990, and the precipitous expansion of the oil futures market since the turn of the century, he traces the vast structural changes which have occurred within the oil industry over the past four decades, identifying their economic, social and geopolitical drivers, and analysing their fallout in the global economy. He explores the oil industry’s decision to scale down refining capacity in the face of increasing demand and the effects of global shortages of petrol, diesel, jet fuel, fuel oil, chemical feedstocks, lubricants and other essential finished products, and describes how, beginning in the year 2000, the oil futures market detached itself almost completely from the crude market, leading to the assetization of oil, and the crippling impact reckless speculation in oil futures has had on the global economy. Finally he proposes new, more sophisticated models that economists and financial analysts can use to make sense of today’s oil market, while offering industry leaders and government policymakers prescriptions for stabilising the market to ensure a relatively steady flow of affordable oil. 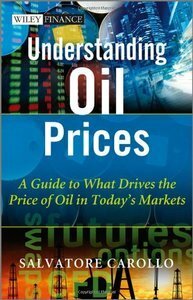 A concise, authoritative guide to understanding the complex, oft misunderstood oil markets, Understanding Oil Prices is an important resource for energy market participants, commodity traders and investors, as well as business journalists and government policymakers alike.